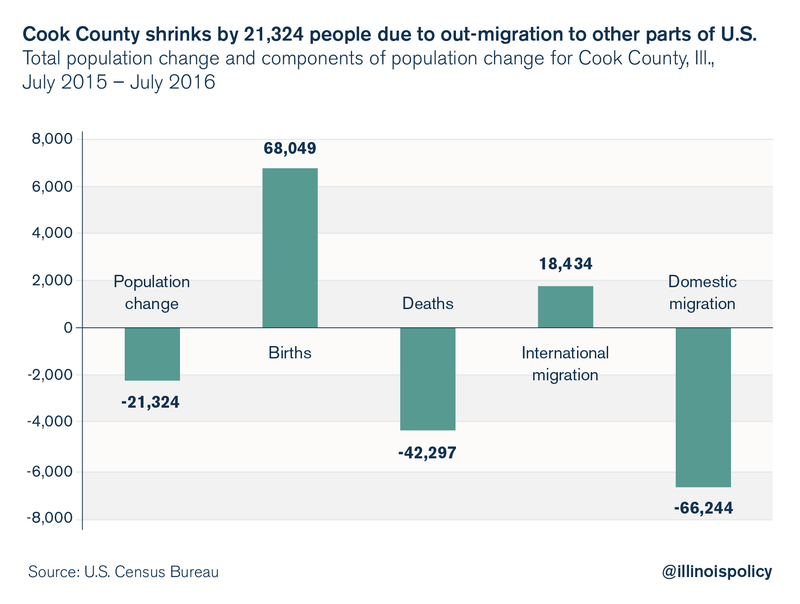 Cook County has largest population loss of any county in the U.S. 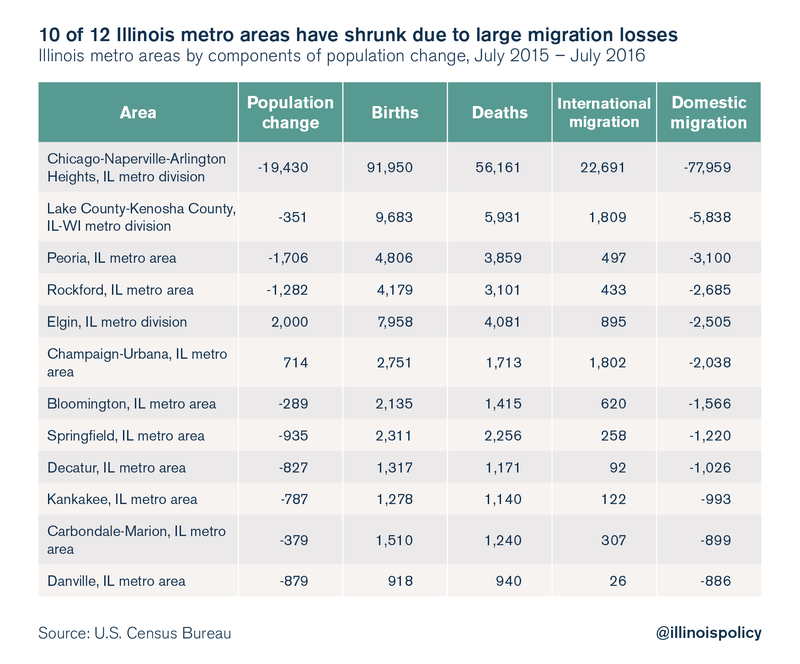 Newly released census data show 89 of Illinois’ 102 counties, and most of the state’s metro areas, have shrinking populations due to out-migration. 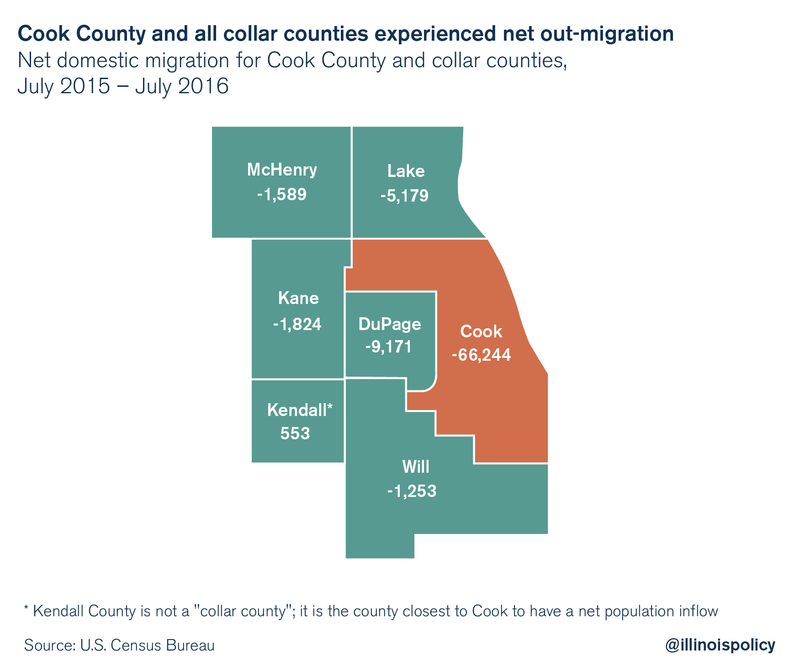 In fact, most of Illinois is depopulating – 93 of Illinois’ 102 counties are experiencing net out-migration, and 89 of Illinois’ 102 counties have shrinking populations. Illinois’ dysfunctional government, weak job creation and ever-increasing tax burden help explain why. A Paul Simon Public Policy Institute poll released in October 2016 found that taxes were the No. 1 reason people want to leave Illinois.